The Jeep Cherokee (XJ) was a compact SUV manufactured and sold by Jeep from 1983 to 2001. Being a compact, it was smaller than the full-sized Jeep Cherokee (SJ) and didn’t have a traditional body-on-frame chassis. Even though the XJ wasn’t launched until the model year 1984, the original design work goes back to 1978 when a team made up by engineers from both AMC and Renault worked together on sketching a compact-sized Cherokee. Due to Renault’s involvment, early sketches show a clear European influence. For the finnished product, most of the style cues came from AMC engineers led by vice president of design Richard A. Teague. With its light-weight unibody design, the Jeep Cherokee XJ was originally marketed as a Sportwagon. Back then, the term SUV was yet to become a household name. 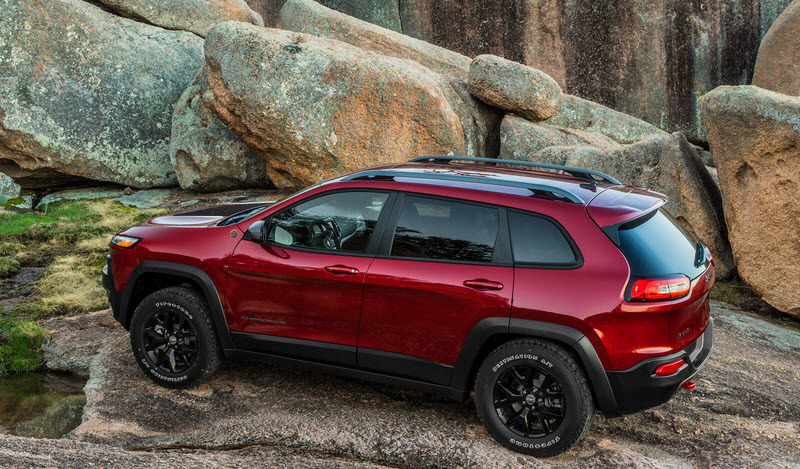 The Jeep Cherokee XJ is chiefly famous for its role in supplanting the station wagons with SUVs on the North American market. 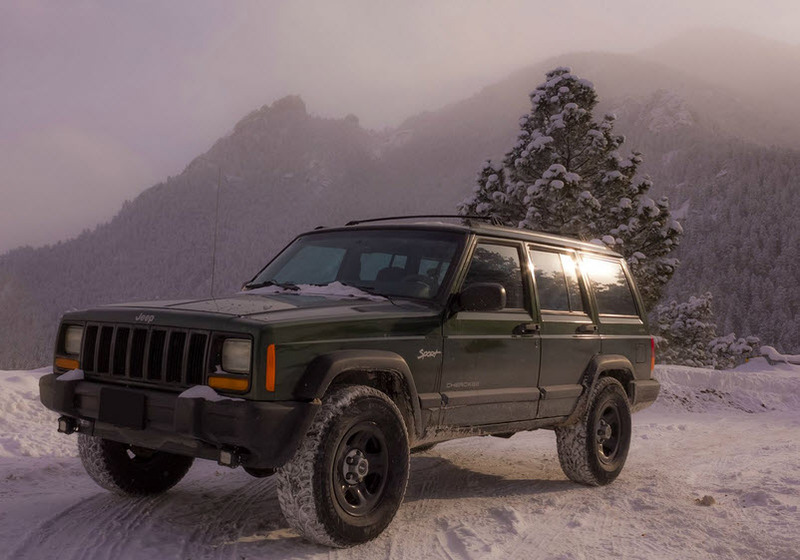 As the XJ became increasingly famous, many other automakers sought to copy Jeep’s success by coming out with their own SUV:s.
The XJ is often hailed as the first small crossover SUV in the United States and a trailblazer for the car-based crossover utility-vehicle fad. When the XJ Cherokee was introduced for the 1984 model year, it was the first Jeep ever with a ladder-boxed chassis integrated into a single monocoque unit. (Traditionally, Jeep used a separate body-on-frame construction.) The new construction made the XJ robust and sturdy, yet lightweight enough to perform amazingly well with a 2.5L four-cylinder engine. The XJ Cherokee was always offered in 2-door and 4-door variants. Both versions had exactly the same track and wheelbase measurments, but the 2-door models came with longer doors and the front seats could be folded forward to allow passangers passage in and out of the backseat. In the mid-1985, a two-wheel-drive version of the Cherokee XJ was introduced. 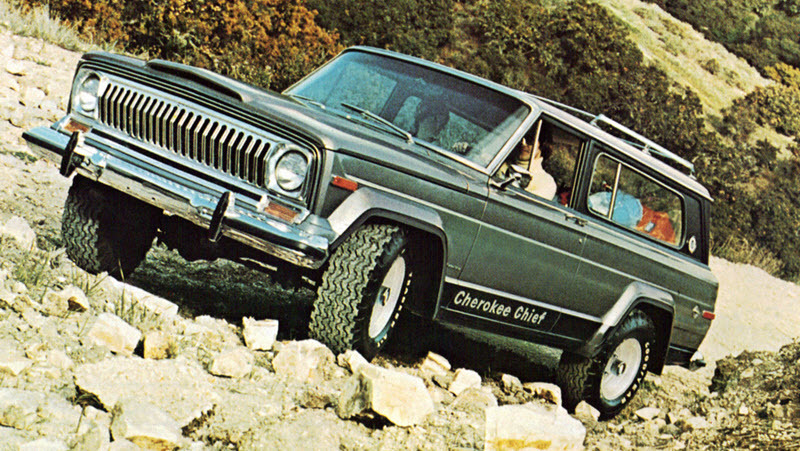 This was the first time any Jeep was offered with two-wheel-drive since 1967. 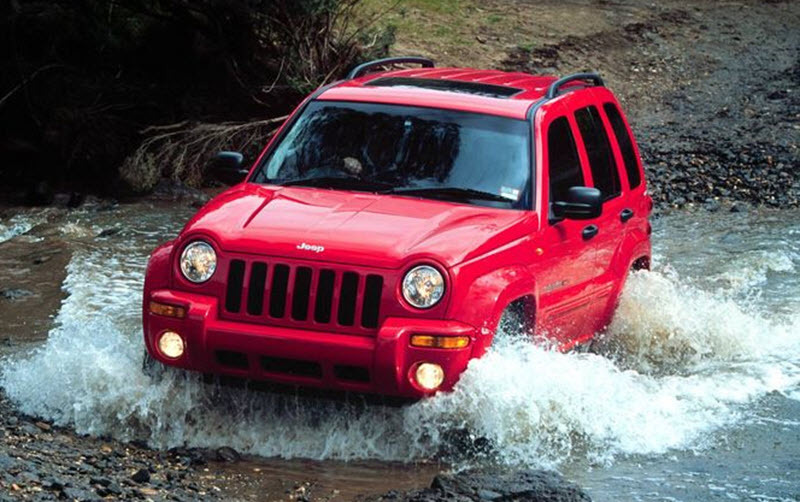 In early 1997, both the interior and the exterior of the Cherokee XJ was given an update. Among other things, the fiberglass liftgate was replaced with a steel one, the front header panel became more aerodynamic and the spare tire was moved from the exterior to the interior. Issues with noise and vibrations were reduced thanks to a stiffer unibody frame and new door seals. Inside, the car was fitted with a groundbreaking cluster/airbag bracket invented by peter Gruich. Two-tone paint (simialr to Laredo). Police use in the U.S. In the early 1990s, the Jeep Cherokee XJ became a popular choice for certain types of professional use, including police work. For the 1992 model year, a special police package (the Cherokee AHB police package) was introduced. For 1996, Jeep launched a special version of the XJ Cherokee SE for police and fleet use. Among other things, this special car had no indoor handles on the rear doors and it was fitted with a revised 190 hp high output version of the 4.0 L Power-Tech inline 6-cylinder engine. The Cherokee Special Service Package of the late 1990s and early 2000s featured a engine capable of producing 195 hp (145 kw). 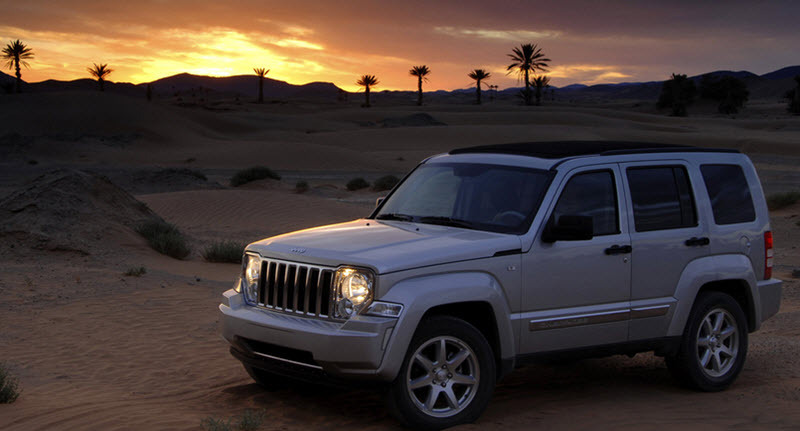 The package was discontinued in 2001, when the Cherokee XJ was replaced by the Jeep Liberty (Jeep Cherokee KJ). Postal use in the U.S.
A right-hand-drive Jeep Cherokee XJ was created for the United States Postal Service. Eventually, this version was used to popularise the Jeep Cherokee XJ on right-hand-drive markets abroad, such as Great Britian and Ireland. In 1985, the Jeep Cherokee XJ was introduced to markets in Europe where you drive on the right-hand side of the road, just like in the U.S. It would take until 1993 until XJ:s with the steering wheel placed to the right were formally launched in Europe, but this type of XJ:s had already been privately imported to Europe from the U.S., albeit on a very small scale. On some European markets, a van version of the XJ was available, with either righ-hand drive or left-hand drive. These vans had no rear seats, a flat cargo area, and metal panels instead of rear side windows. The motor was a VM Motori 2.5 L diesel engine, while transmission was the manual Aisin AX-1. The XJ van could be purchased as either 4WD or 2WD.